Why you should visit: You can multitask your prettifying sesh in this beauty center: Get a lash perm or a quick facial after a mani. Why you should visit: You're guaranteed to have impecabbly painted digits even at an affordable rate. 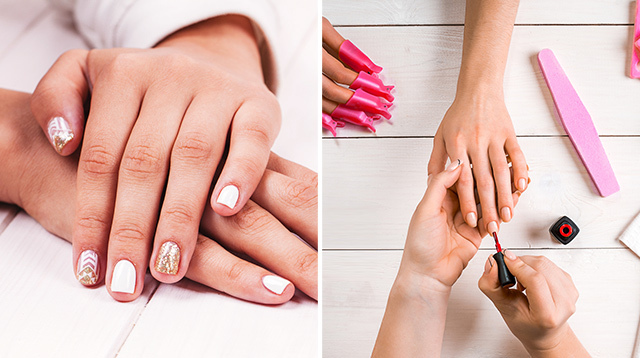 Why you should visit: They are famous for their well-skilled nail technicians who know ~everything~ about manis and pedis. You can also bring your nail art peg and show it to your manikurista. Why you should visit: They’ve got designer and hard-to-find nail polish brands like Louboutin (!!!) that are enough to make you feel like an A-lister for a day.